Hotel Corte Bianca is located in Cardedu (Ogliastra) in the center of the eastern coast of Sardinia just 20 km away. from Arbatax. In a privileged position, directly on the sea, in an unspoiled area of Sardinia with long beaches and a hinterland of typical wild Mediterranean scrub, of rare beauty, the Hotel Corte Bianca di Cardedu is a small hotel similar to an ancient Sardinian village. where everything is gathered, ideal for a family vacation. The Hotel Corte Biancais located in Cardedu (Ogliastra) in the center of the eastern coast of Sardinia, only 12 miles from Arbatax. 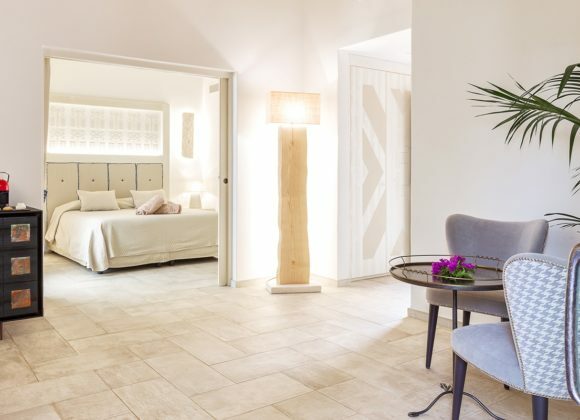 With its privileged position and direct access to the sea, in a part of Sardinia that’s still uncontaminated, with long beachesa hinterland of typical wild Mediterranean vegetation of rare beauty, the Hotel Corte Bianca in Cardedu is like a small club in the shape of a traditional Sardinian small town where everything is close together, ideal for a family vacation. 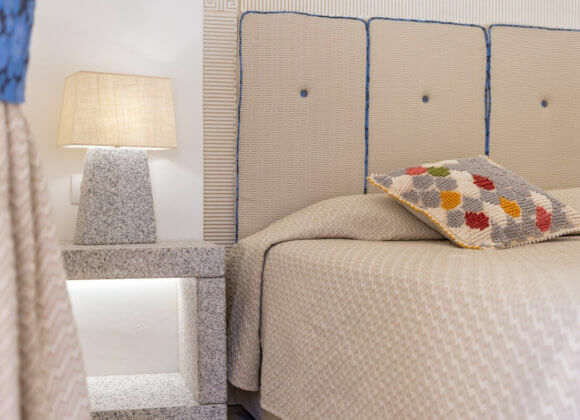 The Hotel Corte Bianca in Cardedu offers comfortable double, triple and quadruple rooms (some family-style with separate spaces) that look out on the pool or the garden, and are furnished in typical Sardinian style. They all have independent entrances and are equipped with shower, hairdryer, air conditioning, TV, safe, and minibar. At the Hotel Corte Bianca you’ll find a vast sandy beach only 250 yards from the hotel’s central core. Small rocks are present on the shore and upon entering the water. At the beach, each room enjoys an umbrella and two lounge chairs. It’s also possible to rent beach towels. Are you looking for a 4-star Hotel by the sea in Sardinia? The Hotel Corte Bianca in Cardedu (Ogliastra) is only 250 yards from the sea. 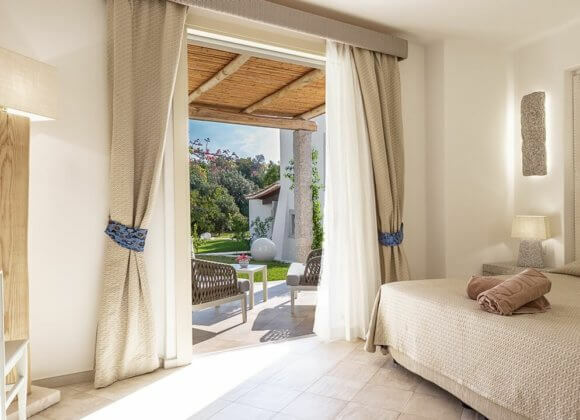 It’s the ideal location if you’re looking for a 4-star hotel immersed in the Sardinian landscape, with a gorgeous pine grove just behind the beach so you can fully enjoy the sea in Sardinia. On oasis of peace, immersed in nature. The Hotel Corte Bianca in Cardedu is immersed in the green, uncontaminated Sardinian landscape. 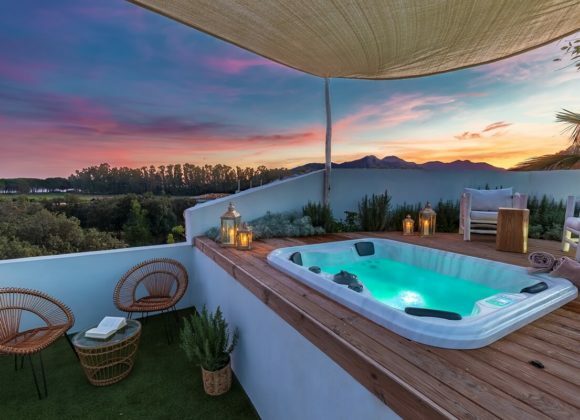 The ideal location if you’re looking for relaxation by the sea. Asmall resort with a wide array of services for your seaside vacation in Sardinia that doesn’t skimp on comfort. Avast, clean beach and a beach-front pine grove that express all the stark beauty of Sardinia’s natural environment. Excellent regional cuisine that offers delicious grilled fare, traditional local dishes, and great wines from the surrounding territory. An undiscovered territory: the Province of Ogliastra, with its archaeological and natural treasures is also the Land of Centenarians.Sardinia – and the Ogliastra area in particular – is one of the places where people live the longest in the entire world, and consequently, along with only a handful of other regions, has the highest concentration of people over 100 years of age in the world. Aside from good genes, it seems that Sardinian wine, flavorful olive oil, and fresh agricultural products have an enormously positive effect on longevity. Tasting some of these genuine products and spending a few days in the Ogliastra region certainly couldn’t do you any harm! Sardinia boasts the best beaches in all of Italy, with their crystal-clear water and pristine sand. Cala Mariolu, Cala Goloritzè and Cala Luna are among the small, white-sand coves of Gulf of Orosei and always rank among visitors’ favorite beaches. A seaside vacation in Sardinia offers guests countless outdoor spaces for moments to spend with family or partners in adventure. Here you can find woods, forests, mountains, rocky coasts, and lots more. There are a host of possible excursions: for those looking for untamed nature, in Sardinia you can choose from countless guided tours to both natural and manmade destinations throughout the territory. “Su Ballu Tundu”?Traditional dances are a unique aspect of Sardinia and the Ogliastra region, and Sardiniansare famous for their hospitality. In addition to offering splendid beaches and incomparable natural sites, Sardinia is also rich in history, which can be experienced through its many archaeological sites (nuraghe, menhirs, Domus de Janas, Tomb of the Giants). For this and many other reasons, your vacation in Sardinia will be a unique and unforgettable experience.